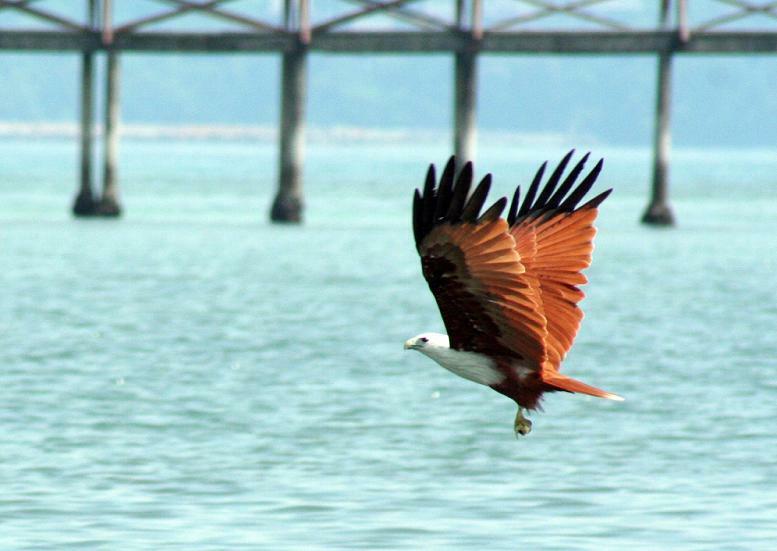 The name "Langkawi" has two possible origins. First, it is believed to be associated with the kingdom of Langkasuka, itself a version of the Malay negeri "alangkah suka" (the land of all one's wishes), centered in Kedah. The historical record is vague, but a Chinese Liang Dynasty record (500 AD) refers to the kingdom of "Langgasu" as being founded in the 1st century AD. Second, it comes from the combination of two Malay words. “Helang” mean eagle and in short it is called “Lang”. “Kawi” means reddish brown in colloquial Malay. Put together they simply means reddish brown eagle. True enough, this island has a large number of reddish brown eagles in its habitat. Sheltered by the mountainous backbone of Peninsular Malaysia, Langkawi escapes the north eastern monsoon entirely and enjoys sunny skies when the eastern provinces are flooded. Blessed with natural white sandy beaches, lush greenery and jagged mountain, Langkawi is a beautiful and captivating island. The 10,000 hectares of Langkawi and its 99 islands were declared a Geopark by the United Nations Educational, Scientific and Cultural Organisation (UNESCO) in 2007. There are many fascinating legends in Langkawi. So I will break it into two blog posts. This will be the first. 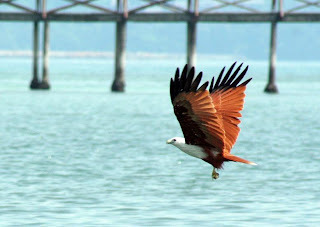 To read Legends of Langkawi Island Malaysia (Part 2), see my next blog post. The most famous legend in Langkawi is Mahsuri, a pretty maiden who lived during the reign of Sultan Abdullah Mukarram Shah II who ruled Kedah from 1762 to 1800. Mahsuri died under tragic circumstances for a crime she did not commit. She died a victim of a conspiracy plotted against her out of jealousy by Mahura, her mother in law. Mahura viciously objected to her husband's intention of taking Mahsuri as his second wife and eventually agreed that their son, Mat Deris should take Mahsuri as wife. Not long after Mat Deris marriage with Mahsuri, she gave birth to a baby boy and he was named Mat Arus. This aggravated Mahura further. Mahsuri was accused of committing adultery with Deramang, a young singer whom she befriended. The chieftain of Langkawi, Dato Karma Jaya, and her own father in law was so convinced by Mahura's accusation that, without a befitting investigation, he sentenced Mahsuri to death. As proof of her innocence, white blood was seen bleeding out of her wound during execution at Padang Hangus. Some people said that there was a sudden appearance of white mist that enveloped the spot where she was executed, which they believed was a sign of mourning of her innocence. Up to today, Mahsuri is remembered for her curse on Langkawi which was uttered before she died. She had said, "For this act of injustice Langkawi shall not prosper for seven generations to come." The execution of Mahsuri was indeed a tragedy of dramatic proportions. Was her curse real? History tells us that within a few years of Mahsuri's death, Langkawi was destroyed by the Siamese and Dato Karma Jaya and his entire family was killed. Rice fields and granaries were completely set on fire. To this day, grains that appear to be burnt rice can still be found at Padang Matsirat. Langkawi remained a sleepy backwater until 1987, when the island was granted duty free status with the intention of promoting tourism and improve the lives of the islanders. The following boom was spectacular and now Langkawi is on almost every travel agency's radar. Believe it or not… this spectacular boom was also due to the fact that Mahsuri's curse was lifted with the birth of her 7th generation descendant. Today, visitors can see and read the full story at her tomb in Kampung Mawat, several kilometres away from Kuah Town. Kampong Raja at Padang Matsirat was the ancient capital of Langkawi. During the heyday of Langkawi the island's rice granary was located there. During the Siamese invasion of Langkawi in 1821 the Chieftain of Langkawi, Dato Karma Jaya, ordered the granary to be burnt. They torched the fields to prevent the Siamese army from getting their hands on them. Remnants of the burnt rice could still be seen today at the very spot of the burnt granary which is known as Beras Terbakar (Burnt Rice). The burnt rice is said to have been buried a few metres below ground but often appears on the surface after a rainy day. If you’re really observant, you might still find a piece of burnt grain on the ground today, almost two centuries later. 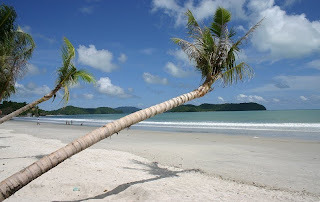 For more attractions on Langkawi Island, click here. That is so nice and overwhelming. Great way to express your love!